This meeting of the Paul Goldschmidt Appreciation Society is hereby called to order. As always, we're here because somebody has to appreciate the guy. In theory, appreciating Goldschmidt has never been easier. The Arizona Diamondbacks first baseman currently rocks a 1.041 OPS with 18 home runs and 13 stolen bases. He has a shot at Major League Baseball's first 30-30 season since 2012. It would be only the fourth ever by a first baseman. The list of Goldschmidt's 2017 creds doesn't stop there. Although he remains well-cast as "America's first baseman," he's arguably the best player of any kind in the National League in 2017. Going into Tuesday, Baseball Reference (4.2) and FanGraphs (4.0) agreed Goldschmidt was the WAR lord of the Senior Circuit. Baseball Prospectus (4.01) dissented, as it only rated Goldschmidt as the NL's best hitter—damn that pitching genius known as Max Scherzer (4.65). Surely, Goldschmidt deserves velvet ropes and fawning admiration everywhere he goes. And a starting spot on the National League All-Star team? Well, obviously he deserves that. Which brings us to the record scratch. To be fair, fans voted Goldschmidt in as the NL's starting first baseman in 2014 and 2015. To be even fairer, no position offers as many appealing All-Star choices in 2017 as this one. Ryan Zimmerman is having an outstanding year. Anthony Rizzo is continuing a pattern of outstanding seasons that dates back to 2014. Freddie Freeman's wrist injury is perhaps the only thing that could have stopped him from hitting everything in sight. Joey Votto remains Joey Votto. Still, let's not oversimplify what's going on here. While Goldschmidt hasn't been completely invisible in his time, this is just the latest example of him being overlooked. "Underrated" isn't a good word for Goldschmidt. That would imply he's not seen as a great player. Given that he's made four All-Star teams, has two Silver Sluggers and two Gold Gloves and has twice been the runner-up for the NL MVP, that's a stretch. But "underappreciated?" That's more than fair. Despite this, it's not just the 2017 All-Star voting that reveals the name "Paul Goldschmidt" still doesn't have a ton of resonance. Alas, it's true: America doesn't really care about America's first baseman. It's a little awkward that a graph that makes Goldschmidt look so insignificant also makes Mike Trout look extremely significant. Because in reality, what's causing Goldschmidt's fame to lag behind his talent is best described as the "Mike Trout effect." Trout is definitely a superstar, but there are good reasons why he hasn't become a transcendent star like a Tom Brady or a LeBron James. He's probably too consistent for his own good. He can only attract so much attention while playing on the West Coast and for frequently mediocre Los Angeles Angels teams. And he doesn't have the most marketable personality. These points also apply to Goldschmidt. None more so than the personality one. Even if all he does is talk about weather and overused airplane emojis, at least Trout is active on social media. Goldschmidt is nowhere to be found. A.J. Pollock, the Diamondbacks center fielder, is right that Goldschmidt "doesn't give you anything to work with." Not because he's a jerk, but because he's just not big into attention. Every now and then, an interviewer will try to get Goldschmidt to open up and reveal himself to be more than just a baseball-playing automaton. But these attempts never amount to much. "My personality is a little bit more of a shy personality," he told Mike Oz in a podcast of The StewPod in May. "I'm just doing my own thing. I can't really control what gets out there and gets written [about] beyond my actions. So I share some stuff, but sometimes you want to keep some stuff private." Look no further than Derek Jeter for evidence that even a blank slate can hit it big if his surroundings are right for the spotlight. But like Trout, Goldschmidt doesn't have that benefit. The Diamondbacks play in neither a small nor a large media market. Phoenix is somewhere in the middle. And it's not covered under the East Coast Bias™ umbrella. The Diamondbacks also haven't been appointment viewing. 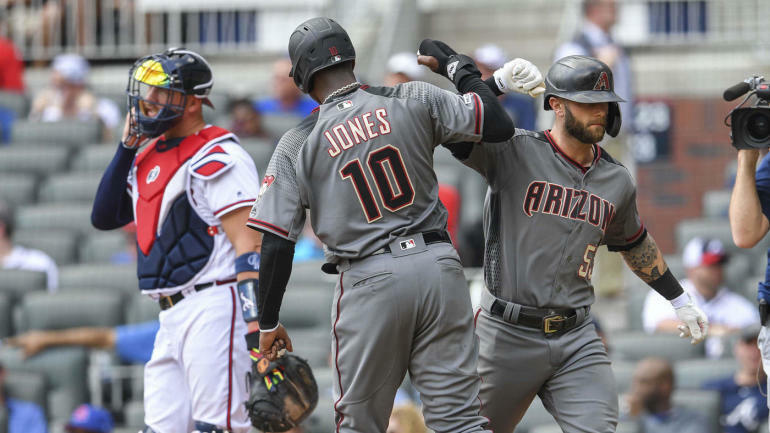 They went to the playoffs in Goldschmidt's rookie season, but they were a .500 team in 2012 and 2013 and a losing team in each of the last three years. Of course, this is changing now. The Diamondbacks' 50-28 record is the third-best in all of baseball. They have a good shot at an NL West title and a great shot of at least earning a wild-card berth. Nonetheless, it's hard for them to draw national attention while standing next to the uber-rich and ultratalented Los Angeles Dodgers. And understandably, even local fans seem hesitant to come back into the fold this year. Attendance at Chase Field is down nearly 1,000 fans per game from last year. 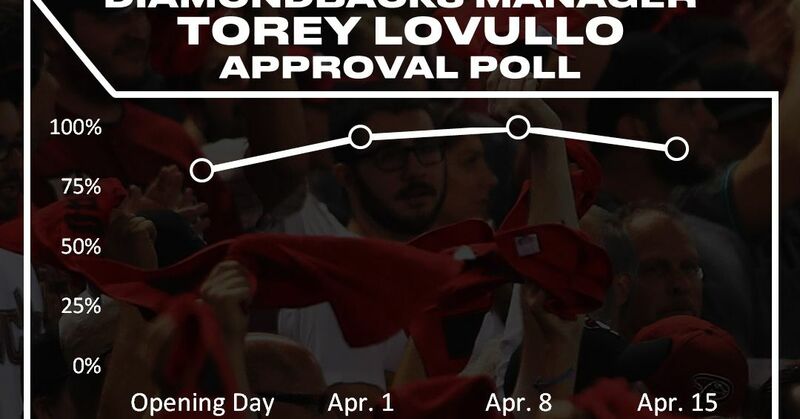 Thus, manager Torey Lovullo must beg for All-Star votes for more of his players than just Goldschmidt. "We haven't done it by blind luck," the skipper told MLB.com's Steve Gilbert. "These players have gone out and performed. We've had some pitchers pitch. I think we have a couple pitchers who deserve consideration. The best teams tend to have the best players, and our record seems to indicate that we have some very talented players. We have a number of players who have led us to this record and they deserve consideration." There is a way for Goldschmidt's stardom to escape the purgatorial realm it's been occupying. If the Diamondbacks see their rebound season through to the end, he'll be thrust into the October spotlight. Once there, the 2017 postseason could do for him what the 2014 postseason did for Madison Bumgarner. For now, though, he remains the most under-the-radar superstar in Major League Baseball. And until that changes, the Paul Goldschmidt Appreciation Society shall keep meeting.